Željko Burić, M.D., has been Šibenik’s mayor since 2013. He is a doctor by profession; namely, a specialist in ophthalmology. He did postgraduate in Medicine and in the Study of Clinical Management in Healthcare. For many years Burić has also been a politician and, prior to his first term as mayor, he served as the director of Šibenik hospital.In the past few years a lot of good things have happened in Šibenik: Amadria Park opened the biggest convention centre in the Adriatic; two of the city’s four fortresses have been renovated; Urban Centre and Urban Incubators have been operating at full working capacity; the PODI (Entrepreneural Incubator) was launched; and the City of Šibenik also received EU funds for the Trokut Centre of New Technologies and Entrepreneurship. And the most recent news is about Šibenik’s famous Tavern Pelegrini being named a Michelin Star restaurant.It seems as if the sky is the limit for Šibenik; as if the city is continually growing, developing and improving. 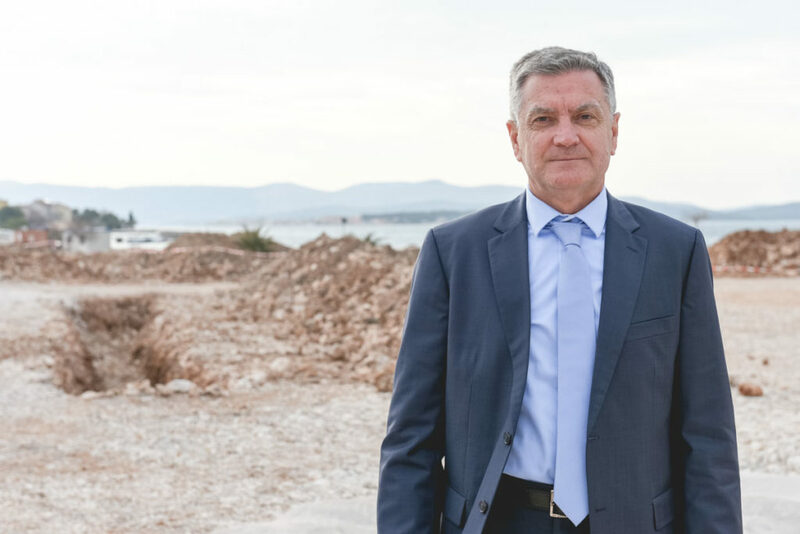 Therefore, now is a perfect time to talk to Šibenik’s mayor about the city’s achievements, goals and plans. Q: The first question must be connected to the recent news: Šibenik has received a Michelin Star, or rather its famous (and for a few years in a row voted the best Croatian restaurant) Konoba Pelegrini (Tavern Pelegrini) was named a Michelin Star restaurant. This must be wonderful news for Šibenik? Tavern Pelegrini and the work and efforts of its owner and head chef, Rudolf Štefan, have made the City of Šibenik a recognisable gastronomic destination, and a Michelin Star is the final crown of their success. Through 10 years of work they have significantly contributed to the promotion of Šibenik and I believe that, thanks to their professionalism and enthusiasm, they will continue at this pace. 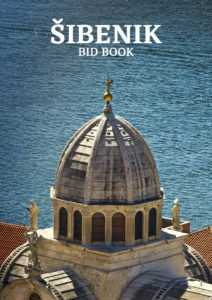 This recognition is an important event for Pelegrini as well as for the whole of the City of Šibenik, which is increasingly developing as a tourist destination. I also would like to mention that in March Pelegrini’s head chef, Rudolf Štefan, is organising an international congress Chef’s Stage which will bring Mediterranean cuisine closer to the chefs of the world and also connect participants from the gastronomic and hospitality scenes. Q: Since 2013, in addition to the newly-achieved Michelin Star, a lot of things have happened in Šibenik. How has the city followed its plan? We set three goals as the key backbones of the development of City of Šibenik – tourism, economy and education. Without a doubt, Šibenik has become a tourist brand, and investments in, and renovations of, its rich cultural and historical heritage are the reasons for the city’s rise in popularity in the last few years. With the help of European funds, the City of Šibenik has renovated two of its fortresses – St.Michael’s (Sv.Mihovil) and Baron’s (Barone/Šubićevac), and we have received confirmation of European funds for renovation of a third fortress – St.John (Sv.Ivan). In 2017 Šibenik became one of few cities in the world that has two of its monuments inscribed into the UNESCO List of World Heritage – St. James Cathedral (Katedrala Sv.Jakova) and St.Nichola’s Fortress (Tvrđava Sv.Nikole). Q: What about the goal of education? The rise of tourism is an apt complement to the development of the city which has an ambition to become a pleasant destination where young people and families can live. With this aim, we are investing in the development of higher education, and are developing study programmes that do not exist in Croatia; for example, the study of Energy Efficiency and Renewable Energy Sources. This technical study is strongly supported in practice with the goal of educating people who, following graduation, are ready to start working in 21st century professions. Q: Šibenik has also been successful in developing and improving its economy. How has this been achieved? We have succeeded in restructuring Šibenik’s economy, which has distanced itself from the former heavy industry, and is now turning towards small and medium-size business enterprises and contemporary technologies. The City of Šibenik has devoted itself to the development of the PODI Entrepreneurship Zone, in which 35 production companies work, while premises for two new companies are currently being built. In addition to investments in the PODI Entrepreneurship Zone, we are also implementing an innovative policy of attracting entrepreneurs, especially young ones. In the spaces of the Urban Incubator and Urban Centre in the city centre, entrepreneurs from the field of creative industries and advanced technologies can develop their businesses and get informed about business opportunities. We are also continuing a proactive approach to stimulating growth and the development of small and medium-size businesses through the project to establish the Trokut Centre of New Technologies and Entrepreneurship, for which we were allocated 20 million kunas (2.7 million euros) of non-refundable EU funds. Q: What are you expecting from Trokut? What will it bring to Šibenik? The vision of the project to build the Trokut Centre of New Technologies and Entrepreneuship is to connect local self-government, young people, sciences and the economy. In other words, we are talking about a contemporary incubator for IT technology and digital technology. The Trokut Centre aims at three groups of people. The first are entrepreneurs who want to develop their start-ups (companies or organisations), but they don’t have the possibilities to do so. The next group are kids and youths who want to develop their technical skills and try the newest technological trends. And the final group are teams that want to develop their projects while relaxing – or the so-called ‘Holiwork’ project. Q: What is the main idea behind the ‘Holiwork’ project? We had realised that Šibenik has a great advantage in comparison to the incubators and accelerators in the north of Croatia – namely, the sun and the sea. When a big company from the technological sector is able to work in alternative locations, it might choose to take its team to the sea where they can work and relax at the same time, and this is exactly the place where they can do that. All the knowledge that comes with them here, will impact the people who use our locale the most. The idea of the Trokut Centre is to create a critical mass of educated people who will bring 21st century technology to Šibenik. Q: In the past, industry rather than tourism was the strongest sector of Šibenik’s economy. However, as far back as in the time of the 90’s war, industry began collapsing. Now Šibenik is putting a lot of effort into tourism and, consequently, visitor numbers are growing. How has this been achieved? Šibenik has experienced a boom in tourism just as much among the Croatian public as among other European destinations. Unfortunately, for decades Šibenik was seen as an industrial city, one that had nothing else to offer except for its UNESCO cathedral. However, through planning development we have changed and significantly enriched our ranges of tourist services and attractions. Today, the City of Šibenik offers its visitors renovated fortresses with their numerous cultural contents, a series of festivals and events, and the new attractive destination of Obonjan island. Šibenik has gone from being a former transit destination, where tourists only stayed for a day, to a city in which tourists stay for five days, and sometimes even longer. Q: What about the ever more important extension of the tourist season? We are intensively working on the extension of the tourist season. We are organising festive events for the opening of the advent season in Šibenik, which is a novelty that has become popular among both Croatian and foreign visitors. We are planning to develop Šibenik’s speciality, namely, the realisation of the ‘Šibenik Escalator’ project, designed by the academic Nikola Bašić, which will connect the city’s Dolac quarter with St.Michael’s Fortress. We also want to extend the tourist offer to Šibenik’s hinterland as well as to its islands. For this purpose we are developing projects such as the Croatian Coral Centre on Zlarin island and development of cyclotourism in the hinterlands. Due to the increase in tourism, Šibenik has moved into a phase when it is necessary to strengthen its community infrastructure. On the ground we have focused on investments in community and traffic infrastructure through the clean-up of beaches, modernisation of traffic intersections, and the provision of additional parking spaces through construction of an underground garage beneath the main public square. Q: One of the significant things that has also happened in Šibenik was the opening of Croatia’s biggest convention centre – the Amadria Park Convention Centre Šibenik. What is Šibenik’s strategy in regards to congress tourism and what are you expecting from it? Congress tourism is certainly a segment in which Šibenik can position itself as an all-year destination. For this reason, we are particularly delighted that our biggest hotel complex Amadria Park – the Solaris Beach Resort – has been focusing on Šibenik as a destination. Through continued work on raising standards and the quality of life, and by enriching the range of services offered, we are working on the development of year-round tourism in Šibenik, and congress tourism is an element which will complete the whole circle. Q: Since Amadria Park opened its convention centre last May, how much and to what extent has it impacted Šibenik? Šibenik has gained a lot through the opening of the new convention centre, but the best indices for this are the excellent tourism results in the pre- and post-season, and I believe that these numbers are showing a trend for continuous growth. Q: You are a doctor by profession and you have visited many international congresses and symposiums. How would you describe Šibenik as a congress destination to your colleagues in the field of medicine from abroad? I would tell them they now have the possibility of presenting their skills in the newest departments of Šibenik hospital, and exchanging their experiences in Croatia’s most modernly-equipped convention centre. In their free time they can complement their visit by taking a walk through the centre – of one of the oldest towns in Croatia, visit two national parks, and two UNESCO-listed cultural historical mounuments. Q: Do you have any ideas or particular personal wishes in regards to the development of Šibenik? Is there anything you would dearly like to see happen or to be achieved in Šibenik? 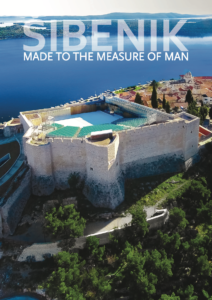 I consider that all the projects that have been going on in Šibenik are like a mosaic – if just one part was missing, the picture would not have been complete. I have a desire for Šibenik to be special, and you can only be that if you have something that others don’t. And Šibenik is different because of its fortification system, and its two UNESCO cultural historical monuments. I believe that the ‘Escalator’ project to connect the fortresses by cable car will make it even more special.